Well, I'm working on steps and the slow squatts the pt gave me are almost too easy now, but one thing I'm still not so confident about is kneeling and of course getting up. Also, what are the best exercises for getting a person back into kneeling? I'll be seeing my pt in another couple of weeks. You don't say what is wrong with or what kind of work you had done on your knee! Kind of hard to give any advise without the entire picture. To give you an idea...I have had a Fulkerson TTT on both knees and a PFJR on the Left....I will probably never be able to kneel again. i'll add it to my signiture at some point. Fragment of ACL removed from postereo-lateral compartment This had been causing a lot of catching and pain but never locked once. Surgery was 16 weeks ago and recovery has been painfully slow, I'm only just loosing the limp and working on going up and down stairs. I wouldn't worry about kneeling right now, My ROM is terrible maybe 110 degrees for now but I can still somewhat kneel and get back up, it might look a biy silly but I can do it!! it should come with time and strenght. I forgot to mention, my ROM was last measured at 125 and that was 3 weeks ago. I've got a bit more since then. would it be a good idea to start out kneeling on a sofa or bed to get used to it again. I am post sugery 19 weeks. I stlill can't put any weight on my knee, (Kneeling or crawling). 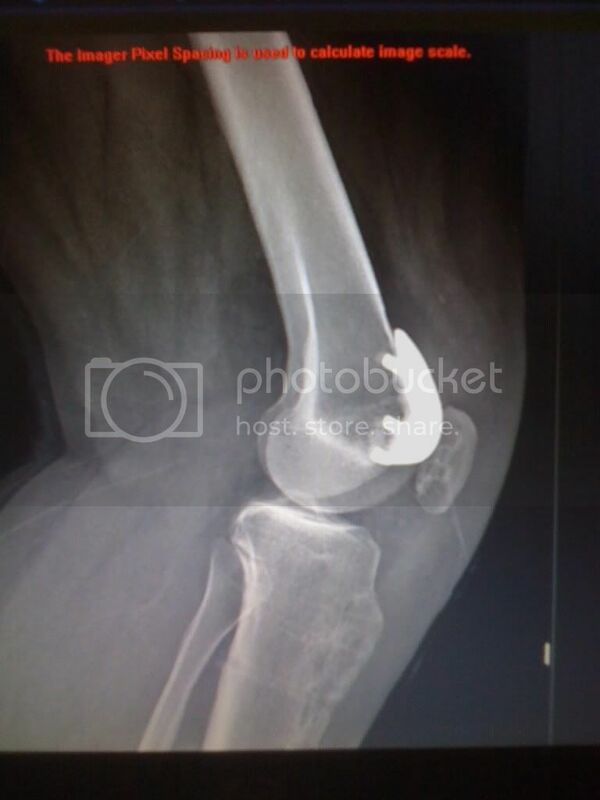 I had patellar tendon tear 30%. While I still can't kneel without a pillow, getting down on the floor and back up again was one of the things I would practice with my PT The last 5 minutes of each PT session was spent in doing "real life" situations. They started with just getting up from a chair without arms and progressed to things going up and down a ramp without handrails and eventually getting down and up from the floor. Here is a You Tube of a Yoga elephant walk up that is a no knees way of hauling your self up off the ground. I was told and told time and time again by My OS never to kneel post TKR.. I must admit somedays I thought to myself oh ship and half I can't .. but somehow I kept on trying and pushing threw on those moments. I also carry a gardner kneel pad in my car . incase i have to put air in my tires.. I was told on a cushion is ok. never on the hard ground.